We are spending a number of weeks in Florida, on a golfing mission which I have mentionned in a previous post ages ago. That adventure is documented elsewhere in my golf blog entitled Golf in the 70’s. We have also enjoyed the galleries walk in Jensen Beach, and in particular, our visit to The Marsh Rabbit Gallery. I especially appreciate the work of Bonnie Clewes Schermerhorn, the director of the gallery, also a writer, painter and printmaker. 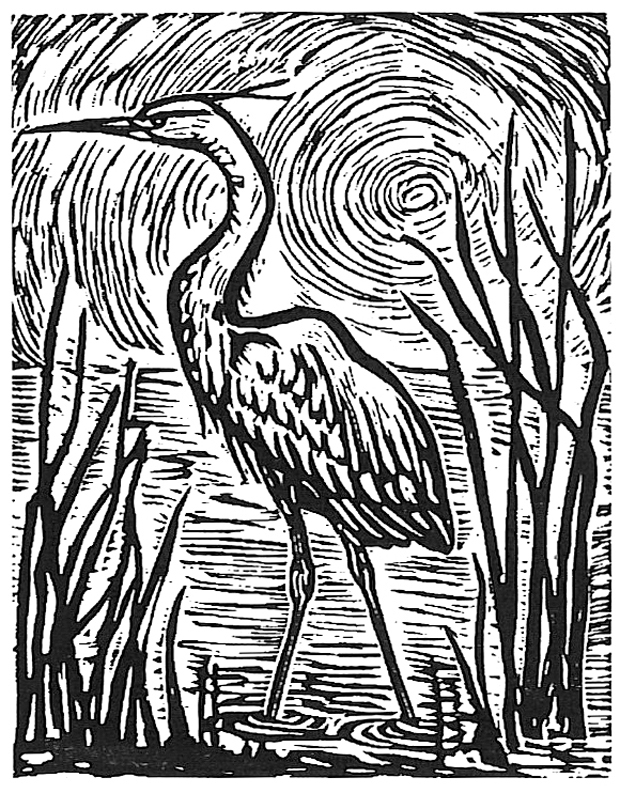 I have always had a weakness for prints, particularly for woodcuts and even its poor cousin the linocut. Here is an example of her work, check the link above for more.